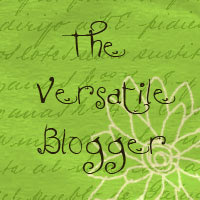 Seraphina Reads: Versatile Blogger Award! Thanks so much to Arya Smith of Sea of Pages for this awesome award! 4. Contact the bloggers you've picked and let them know about the award. 1. I am a an insurnce student at Cairo University. I have been in the University for 6 years doing over year after year because I simply hate what I learn so be careful for what you're going to learn. 2. I am so in love with Lord of the Rings, Harry Potter and all things magical that they call me a Witch ;) . 3. I am currently writing too many books but have not finish one of them :( . 4. I love history, historical eventes; I was the first on my hight school history classes *Good old days :'( *. One of my favorite topics are the Crusades, the Tudors, The Victorian Era *My mind lives there*, the Early Islamic History and the Eurpoen History in Genral . 5. The Count of Montey Cristo is my favorite movie; I lov smart and sweet revange; don't mention he had a very happy ending. 6. I hate Twilight, I hate Twilight, I hate Twilight. 7. I love vampire so much but I totally got disappoited with The Vampire Diaries books because the TV series is way better but still The Vampire Diaries can bet Twilight any time. I liked that we knew more about you. Keep up the good work in your blog Nevey.